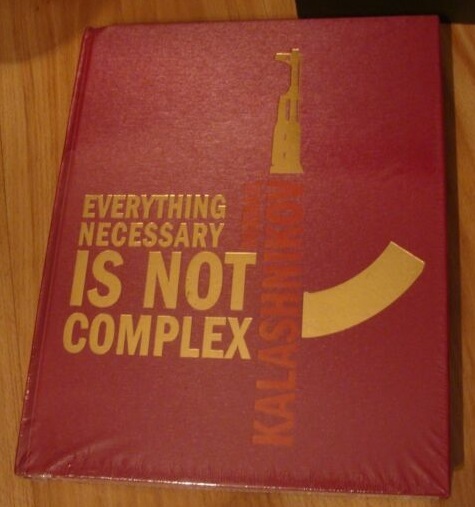 “Everything Complex Is Not Necessary, Everything Necessary Is Not Complex” this quote became the motto of Mikhail Timofeyevich Kalashnikov. Part I of the book covers the difficulties and ordeals, victories and defeats experienced by him. Part II is dedicated to the description of the weapons developed by the outstanding armourer. The book includes photo documents from the personal archives of M.T. Kalashnikov and photographs of his weapons provided by museum. This entry was posted in 2010, AK Books, History, Kalashnikov by gwebs. Bookmark the permalink.